Offering you a complete choice of products which include gas leak warning systems for maximum safety and early fire warning sensor-for electrical switch rooms. 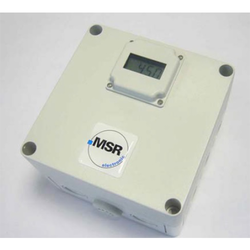 Gas Alarm Systems India in association with MSR-Electronic Germany provides reliable sensors, controllers and warning devices for refrigeration systems. The product line PolyGard2 ensures reliable monitoring of leakages at all times and thus protects not only the health of persons but also the operation of the refrigeration systems. The simple Plug Play sensor technology (X-Change) also allows you to save time and costs for maintenance significantly. The sensors are available for all common refrigerants. The door-entry modules provide maximum safety in addition: If the gas concentration increases in closed buildings, for example in cooling rooms, the doors can only be opened in one direction: from the inside to the outside. This ensures that people can only move out of the hazardous area, but they can never move in. 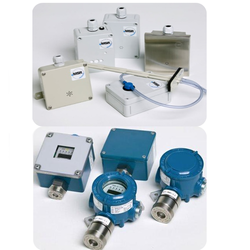 The Bavarian company MSR-Electronic, headquartered in Pocking, develops and produces perfectly matched sensors, controllers and warning devices, which can be combined in many ways into high quality gas warning systems. Optimum protection for people and installation is thus ensured in enclosed areas in critical situations. Due to the individual configuration and the flexible integration, solutions from MSR Electronic are used worldwide in a variety of applications. ALVI India in association with ALVI Australia and MSR Germany feel pride to published Very Early Fire Warning Sensor for Electrical Switch Rooms, Sub-Station, Electrical Panels in India to stop the hazardous incident takes place due to electrical short circuit.